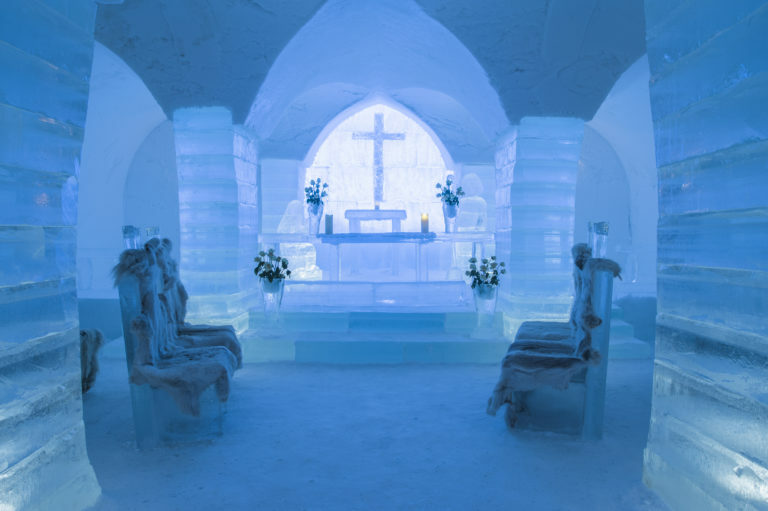 Welcome to the Northernmost ice hotel in the world situated in Alta, Norway. 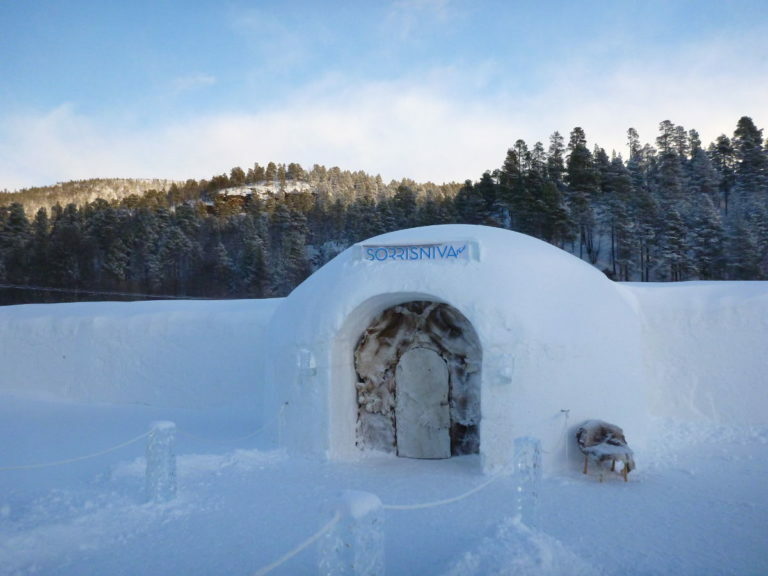 Sorrisniva is the first ice hotel in Norway and second in the world to be built entirely of snow and ice. Taking just 5 short weeks to complete this amazing hotel is open between the middle of December through to the beginning of April. 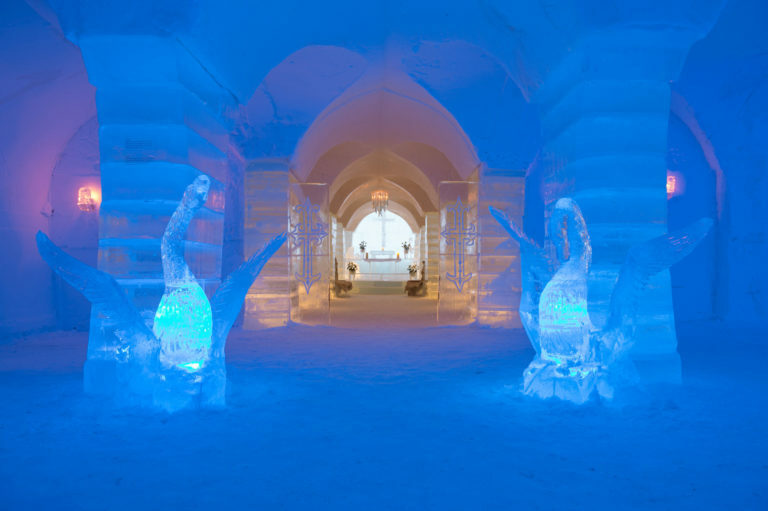 There are 26 bedrooms, 4 decorated suites, an ice chapel and an ice bar as well as an incredible restaurant serving delicious local food sourced when the ingredients are in their peak seasons. There is also a variety of amazing activities to take part in whilst staying here whether you just want to take in the breathtaking scenery, enjoy seasonal gourmet dishes, relax in the outdoor jacuzzi or be slightly more adventurous and head off dog sledding or snowmobiling in the wilderness. 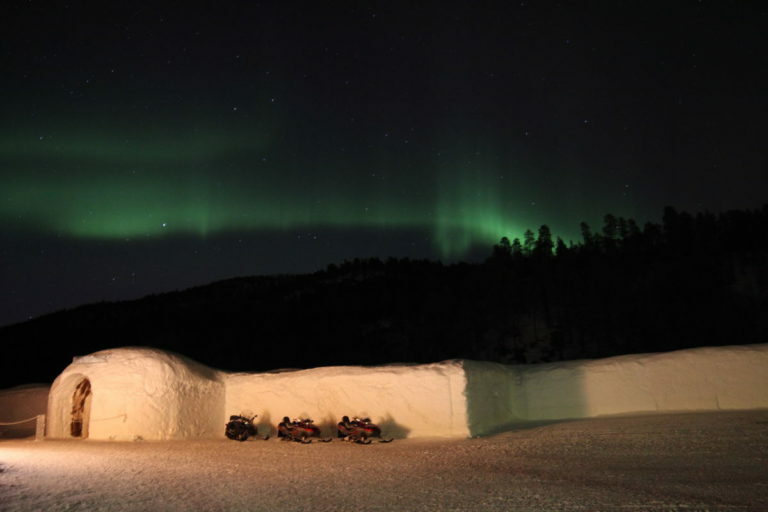 You could even combine both with an amazing dog sledding and gourmet food tasting experience to round off the perfect Northern Lights holidays package!